This guide is adapted from an essay sent in by Harold Horsefall. The Calgary Immigrant Educational Society thanks him for the insight and knowledge he has provided on Indigenous issues. When it comes to Canada, and images of the Indigenous people here, there are a number of myths floating around. “Myth-busting”, or recognizing that these myths are false and unfair, is very important. Metis author, teacher, lawyer and scholar Chelsea Vowel, is the author of Indigenous Writes: A Guide to First Nations, Metis and Inuit Issues in Canada. In this book, she wrote a chapter about myth-busting views on Indigenous peoples. This book’s target demographic appears to be for the average Canadian. However, immigrants that want to learn more about Indigenous peoples are encouraged to read Vowel’s book. Vowel’s chapter on myth-busting focuses on five myths about Indigenous peoples. Keep reading to find out what they are. According to Vowel, one myth that exists about Indigenous people is that they do not pay taxes. The truth is that most treaty-people, unless they are earning their money on a reserve, do pay taxes. Treaty is a complicated topic, but it is safe to say that not all Indigenous people have treaties. To be tax-exempt, an Indigenous person must be treaty; and again, that person must be working on a reserve to qualify for tax-exemption. Otherwise, an Indigenous person must pay taxes. This myth is a little tougher to understand. Firstly, reserve land cannot be owned by Indigenous people, nor can it be owned by anyone else, including the Canadian government. The land is held in trust by the Federal government. Bob Joseph stated that it is impossible for Indigenous people to build equity in their homes because they cannot own the land. This lack of ownership is of particular importance as many Canadian households build wealth from home equity. Indigenous people that choose to live in their home communities do not have this option. Consequently, they are missing a critical piece in the accumulation of personal wealth. Secondly, there is subsidized housing available for low-income Indigenous people. Joseph stated that the housing is provided for by the Canadian Mortgage and Housing Corporation. Many, if not the majority, of reserve communities are low-income locations, so it can appear that most housing is provided for ‘free’. However, this is no different than, for example, Calgary Housing’s service of providing low-income housing. It’s just on a larger scale. The drunken Indian myth is that Indigenous people cannot properly metabolize alcohol and are alcoholics because of that. As Vowel explained, most of the alcoholism that one may observe with Indigenous peoples is due to the trauma they have suffered from residential schools. The Canadian residential school system forcibly took Indigenous children that had turned 5 years old from their families. The Canadian government raised these children up until the age of 16. Residential schools have left a deep wound within the Indigenous community. Many of the children experienced substantial abuse from the Canadian residential school system and the survivors have shared the resulting trauma. Children received minor beatings for speaking their own language, as all residential school children were only allowed to speak English. Many also suffered from sexual assault, physical assault, and starvation experiments. The starvation experiments, which occurred in the 1940s, involved the staff at residential schools withholding foods and starving the children. According to Weber the studies involved more than 1,300 Indigenous children. The children lived off of less than 1,500 calories per day, where a normal adult takes in 2,000+ calories per day. This myth is less about Indigenous people and more about Canadian society’s views on progress. This myth acknowledges that Indigenous people have been victims of the Canadian colonial system. However, this myth also says that the victimization happened a long time ago and things are fair and level now for all people. Instead, Vowel proposed that “we must realize that there is no break between the past and the present and that equality does not mean ‘the same’”. This myth “assumes that, as time passes, things are inevitably getting better”. This myth is a little tougher to understand. At the University of Calgary, Cheryle Chagnon-Greyeyes stated that in 1970, there was one Indigenous graduate. This graduate, Vivian Ayoungmen, finished a Bachelor of Education degree and has since completed a PhD. Since then, the number of graduates has steadily increased. In June 2017, there were over 127 Indigenous graduates from the bachelor level through to the doctoral level. The reason that this myth persists is because of the belief that improvement is a passive process. Indigenous people have had to fight to get to where they are now. There has been nothing passive about it. The first real fight that many Indigenous people had was with the Indian agent. Marvin Dieter (1973), a survivor of the old reserve system, stated that standing up to the Indian agent was the start of the Indigenous person fighting for progress. 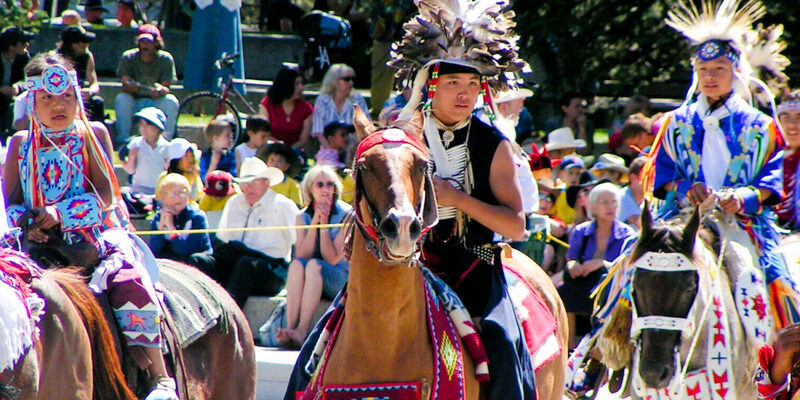 The Indian agent was a representative of the Crown on the reserve. He had total control over all of the daily events in an Indigenous person’s life. The Indian agent decided who could leave the reserve, who could sell their harvest on the market and for how much. Furthermore, he was the man who came and took the 5 year old children off to residential school. Dieter stated that to oppose the Indian agent meant anywhere from 30 to 90 days of hard labor. Dieter added a story where one could not butcher one’s own cow, despite the onset of starvation, without the Indian agent’s approval. The conversation regarding the history of Indigenous people in Canada is a long and difficult one. Many Canadian institutions are now offering degree programs on the subject. Treaty and its implications are also deep subjects critical to understanding both Canadian and Indigenous history. Myth-busting is a great way to begin this understanding. Many of the myths surrounding Indigenous peoples do exist for a reason. However, that reason is not always easily understood if you do not gather more information about the history surrounding the myth. Indigenous people do pay taxes and they are not all drunk. The people that are are extremely likely to have suffered unmentionable trauma from their childhoods. The visible trauma is like an iceberg: the portion of the iceberg floating on the top of the water is small when compared to the rest of the iceberg that is underwater. Please check out Chelsea Vowel’s book and visit her blog and her online learning resources. The links, and other references, are attached below. Thanks to Harold Horsefall for help with this guide. If you want to suggest a correction to this guide, or want to submit one of your own, please contact us.